Harley-Davidson Beverage Chiller Mini Fridge HDL-17006 - California Car Cover Co.
As one of the most iconic motorcycle brands, Harley-Davidson has been renowned since its founding in 1903. There is a way for you to join in their celebration of over a century of quality production by grabbing a chilled drink out of a Harley Davidson mini fridge. No matter how you ride or if you ride at all, a Harley refrigerator is an enjoyable commodity. It is a good addition to any enthusiast’s garage or specialty room. It stores your own drinks nearby for when you take a break from working on your newest mechanical obsession. If friends or family visit, refreshing beverages are readily available to be offered without a trip to the kitchen interrupting your amusing conversations. With the branding and logo etched into the glass door and side, this mini fridge conveys a retro style. While it may look like a classic mini fridge, it performs with modern refrigeration to ensure what’s stored inside stays cool. 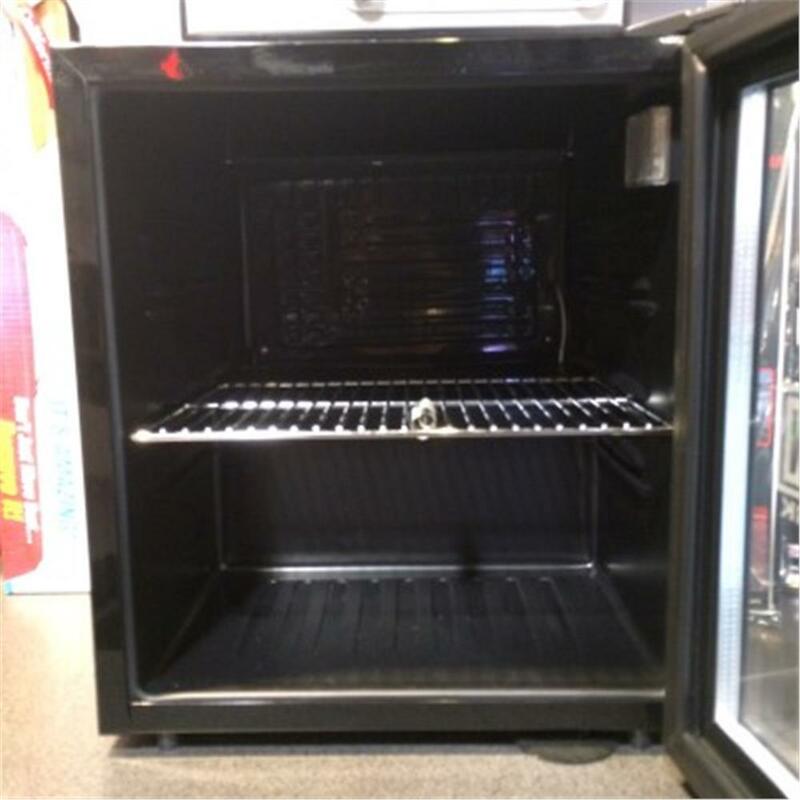 The sleek design of the Harley Davidson fridge fits in with other similarly branded merchandise or as an easy complement to any room theme. It wouldn’t be a Harley Davidson product without options. The shelves are moveable so you can accommodate assortment is inside. 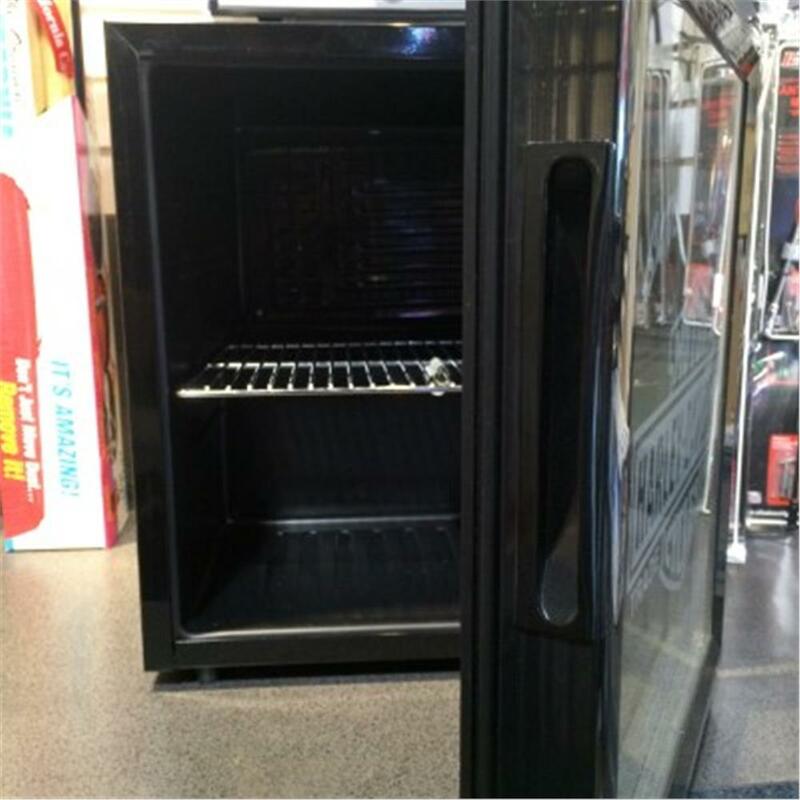 With shelving you can adjust, you can create a display of high quality drinks highlighted by the glow of the included interior light of this Harley Davidson refrigerator. Temperature is also an option for you to choose as you please. You decide what if you want icy cold or slightly chilled products with the adjustable dial. Like changing riding gear depending on the season, you can change the temperature of the fridge to account for the weather. 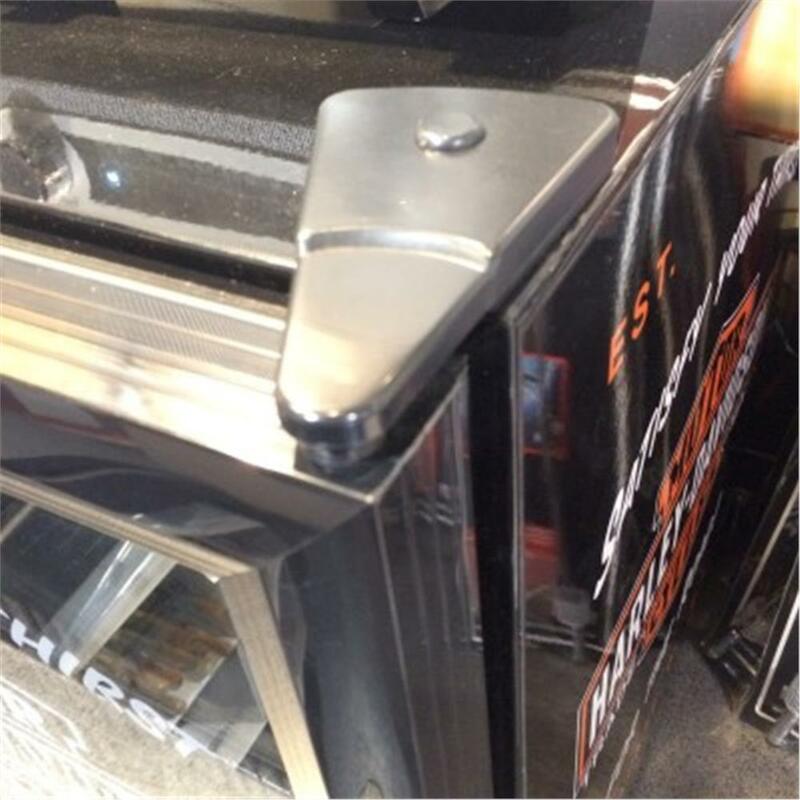 The last and most important customization option of the Harley mini fridge is what you put inside. While those are not included, the fridge does its job well of serving whatever drink you want however you want. Ready to put your feet up after parking your bike? 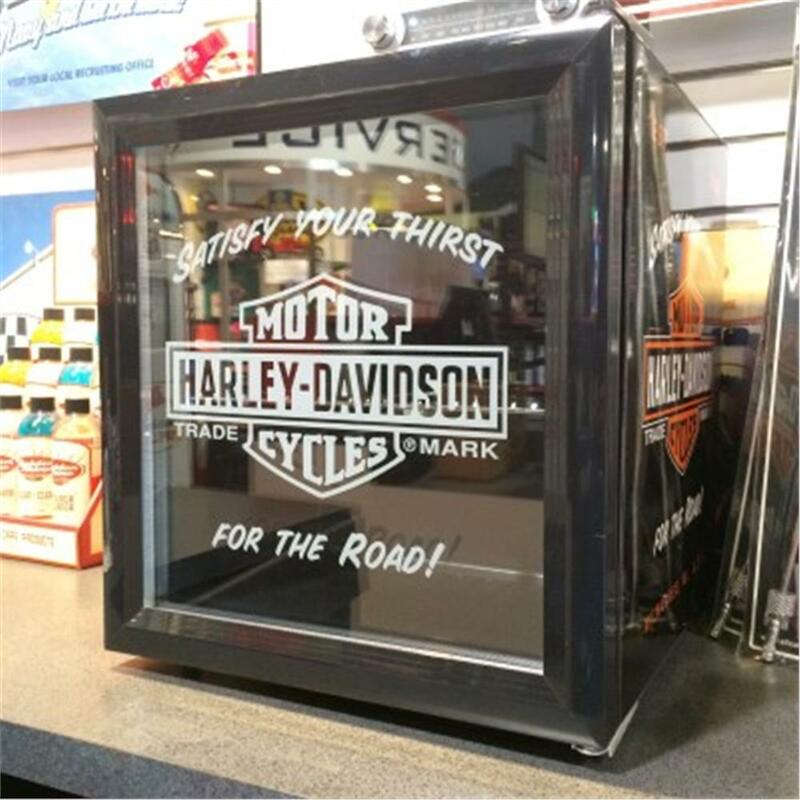 Reach right into this handy compact Harley Davidson beverage cooler and mini fridge that fits neatly in the corner of your garage, shop, or man cave and grab a cool, refreshing beverage to "Satisfy Your Thirst." The Nostalgic Bar & Shield graphics adorn the sides of this contemporary 1.8 cu. 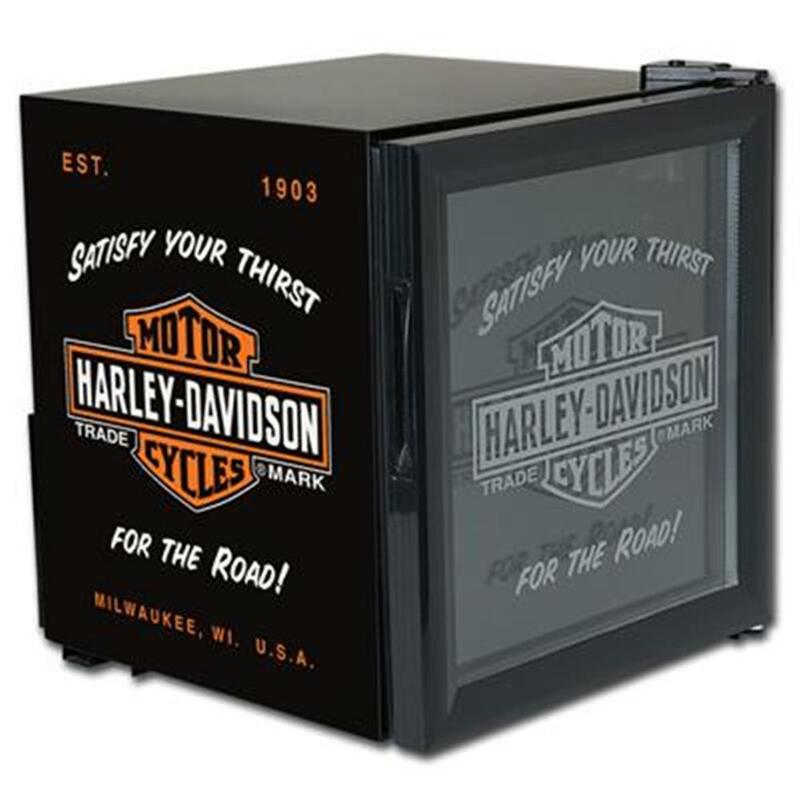 ft. capacity Harley Davidson mini fridge, and the front has an etched-look design on double-layered glass. Chills a case of beverages and has adjustable cooling, and interior light, and an adjustable shelf. Measures 19.7" H x 17.1" W x 18.7" D and operates on 110-v standard current.